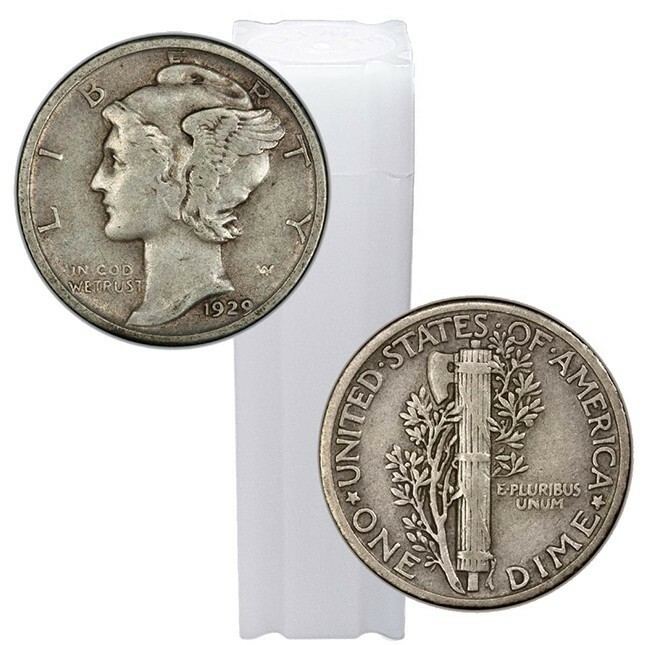 Even though modern dimes are no longer made of silver, you can still purchase these Mercury dimes, which circulated throughout the country for years. Mercury dimes were common in pocket change until the 1960s, when wise collectors picked them out of circulation and the US Mint eliminated silver from American coinage. They are still prized by both collectors and investors. Legal tender coinage produced by the US Mint from 1916-1945. However, circulated 90% silver coins are still traded as an investment product around the world. These coins are sometimes referred to as “junk silver” because they are in circulated condition, but make no mistake: they are a wise investment, indeed. If you put away a paper $5 bill in 1965, you’d still have $5; but a roll of pre-1965 Mercury dimes is now worth many, many times that! Mercury dimes in particular are prized by collectors and often trade at a premium to other types of 90% silver. These coins were produced from 1916 to 1945, so many are now over a hundred years old! The design, by sculptor Adolph Weiman, depicts an image of Liberty wearing a winged cap. The public incorrectly assumed this image portrayed the Roman god Mercury, patron god of finance, and the nickname stuck. The reverse depicts the fasces, a symbol of America’s strength – a sort of “don’t tread on me” message, as World War I was raging in Europe when the design was introduced. It was replaced by the Roosevelt dime design in 1946. The beautiful design has not been seen in everyday commerce since the 1960s.